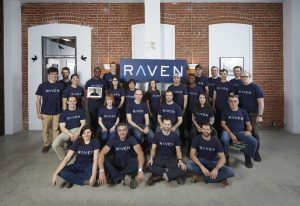 Ottawa (May 1, 2018) – Raven Telemetry, a leading artificial intelligence company for manufacturing, announced that it raised $6.1 million in equity financing from angel investors. Notable contributors include Fresh Founders (including Shopify’s Tobi Lütke and Harley Finklestein), Rob Lander (former President and CEO of Stackpole), Luc Levesque (Former VP at TripAdvisor), Rob Ashe (Former CEO at Cognos), Jacket River, HBS Angel Investors of New York, and several others. Raven uses mobile hardware, software, and cloud-based analytics driven by artificial intelligence to massively improve world-leading manufacturers’ profitability with no change to the number of people and machines. Real-time recommendations and productivity insights provide immediate results to plant managers, supervisors, and machine operators. Since its launch in 2013, Raven is growing exponentially and boasts many large manufacturers as clients such as Hitachi, David’s Tea, Teledyne, and Danaher. To learn more about Raven visit www.staging.raven.ai. Founded in 2013, Raven developed the first Augmented Industrial ManagementTM (AIM) platform for manufacturers. Raven uses mobile hardware, software, and cloud-based analytics driven by artificial intelligence to massively improve world-leading manufacturers’ profitability with no change to the number of people and machines. Real-time recommendations and productivity insights provide immediate results to plant managers, supervisors, and machine operators. For media inquiries, contact kindha@staging.raven.ai.